Product code: 1675 Categories: Sold Items, Sold Jewellery. 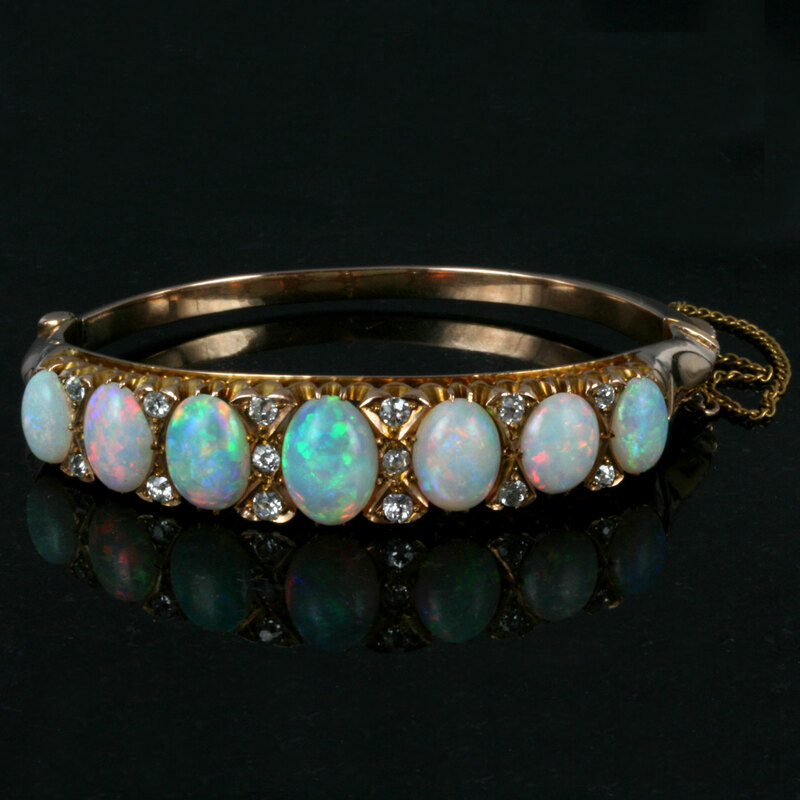 This is without a doubt the finest opal bangle that we have ever seen with opals that are a not only solid opals, but each a magnificent size. There are a total of 9 solid opals that total 9.20 carats in weight, and the centre opal measures 1.1cm in length with the other opals graduating down in size so beautifully. 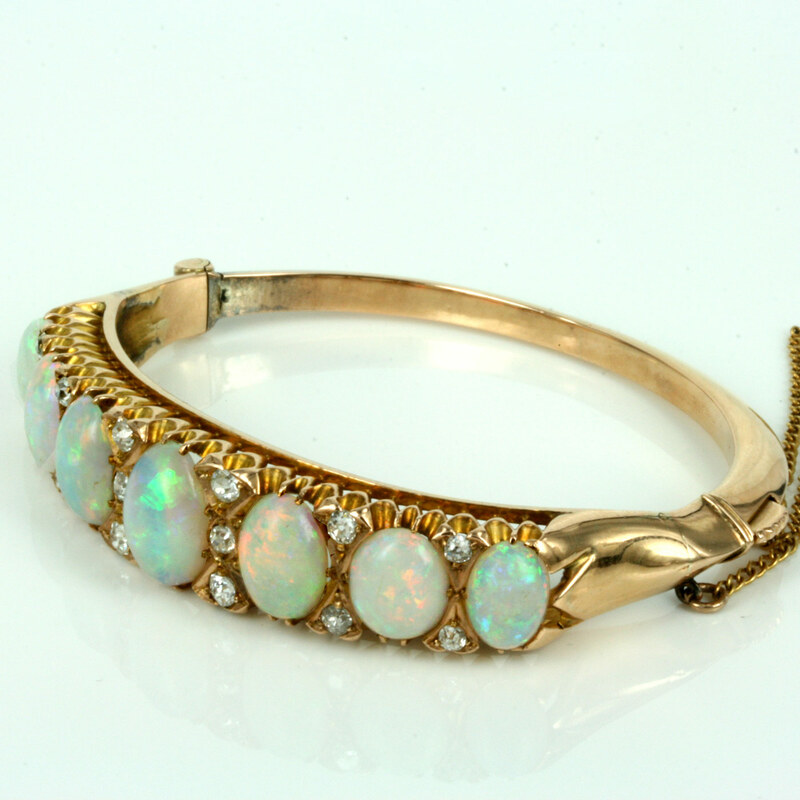 Set with 14 diamonds that total 1.04 carats and add a delightful sparkle to this bangle, this is one antique opal and diamond bangle that always stands out. 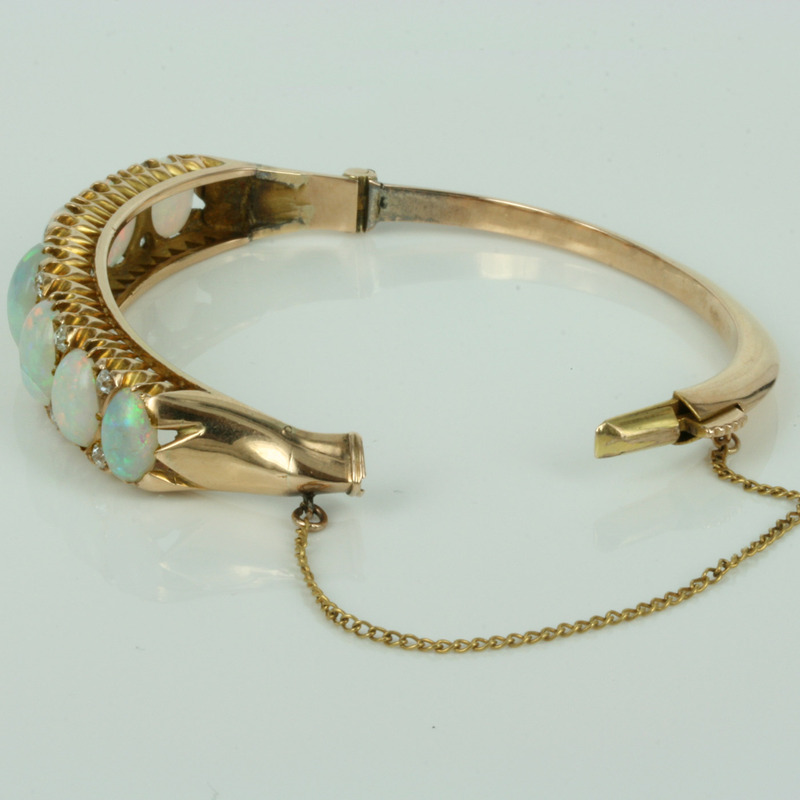 Hand made in 15ct rose gold in the early 1900’s, this is one of the most magnificent opal and diamond bangles around.